This last few weeks have been a little intense but in amidst the roller coaster ride, perhaps I’ve made the first step towards building my confidence. For the first time since December 2010, I stepped into a raid this weekend. I spent most of Saturday questioning my sanity in signing up in the first place because everything was bound to go badly. As the clock ticked around towards raid time, I found myself hoping for a black out or a ghost pirate attack (we do live by the sea) but nothing out of the ordinary happened. The first hour or two fed all my insecurities as we learnt the fight and I found my feet and my keybinds again. By hour three ish however I was starting to remember the good things I like about raiding, especially when you kill something with people whose company you choose. By the end of the night, around five hours after we started, I was even contemplating setting up teamspeak on my computer although that might be a step too far for the moment. It looks as if killing Garrosh this expansion might actually be possible. Theramore will be revenged! So in order to upgrade my gear, I’ve been trying to cap out my valor each week and my favourite method is running scenarios and attempting to beat Mr Harpy at dps in the process. Being able to pull 70k to 100k dps as a Mistweaver even though my gear isn’t brilliant is one of the awesome aspects of being a Monk. With more confidence comes more challenges and we’ve started trying to run old raids again as a healer/dps combo. The ultimate aim is Firelands but we’ve started doing Cataclysm content beginning with the Tol Barad bosses on 10 man. I’m so behind with these but this weekend it’s catch up time. Arts and Crafts: Daeaye over at the Wyvern’s Tail is challenging herself to make WoW themed items in a variety of mediums and she’s invited anyone who wishes to join in. I have a few ideas that I’d like to experiment with including something based around the rather bad tempered lady pictured above and this seems like the perfect opportunity to have a go. Then of course there are all the other posts half written in my notebook on everything from lore to the possibilities of the next expansion to my noodle cart fueled desire to make noodle soups. Finally I have a purpose in logging. 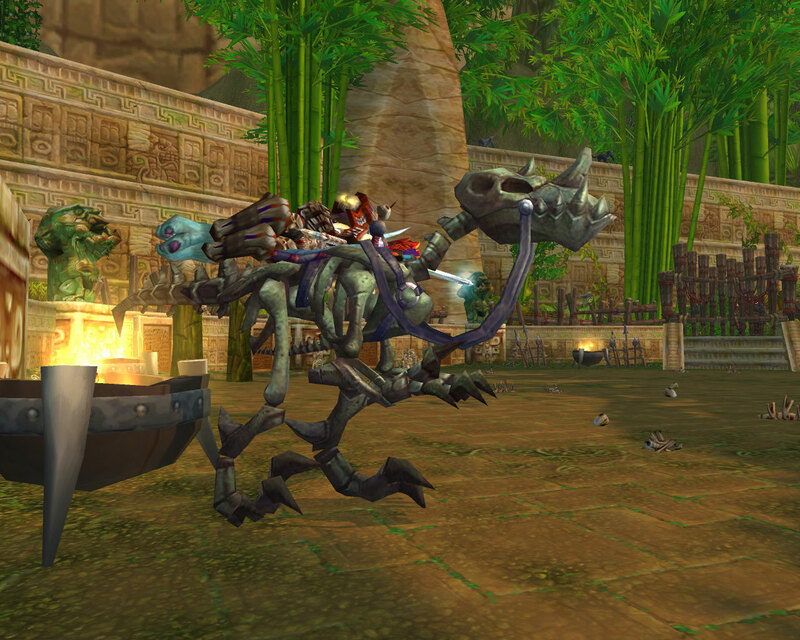 That really is one dedicated mount. 10 am the other day saw me parked up here in a lake of blood hoping that the fickle Gods of RNG would favour me. As it turned out they didn’t but I still love the shot. On the second last day of the September challenge it seems fitting to show my golden Dragon that I won in the August version of this screen shot challenge. Thank you again. Today’s prompt is “Curve” and I’ve chosen to interpret that as a “learning curve”. I entered the Proving Grounds torn between self doubt and over confidence. I thought it would be a walk in the park, after all I’ve been playing a Healer now for more years than I care to mention and yet at the back of my mind a tiny goblin sized voice whispered away. As it turned out, perhaps there was more “proving” to be done that I expected. I made a choice not to see how other Monks were doing it which led to quite a bit of experimentation on my part, something which with hindsight I’m glad of. In the end I had to reforge my stats quite a bit as well as change my talents and am probably stronger as a result of that. I’d also forgotten exactly what some of my tooltips said (the joys of not doing anything more serious than random battlegrounds and questing) and this forced me to start thinking about my cooldowns, my spells and all the utility my class brings. In short, I found the Proving Grounds to be frustrating, annoying, addictive and somewhat maddeningly awesome. I’m so close to getting “You’re doing it wrong” and the silver dps challenge as a healer and I want to at least get Bronze for Tanking too. In the meantime I’m working on Endless with my first try getting me the achievement for over 10 rounds which I know is nothing in the grand scheme of things but to someone who is facing their first “proper” raid since the start of Cataclysm this weekend, every little confidence boost helps. 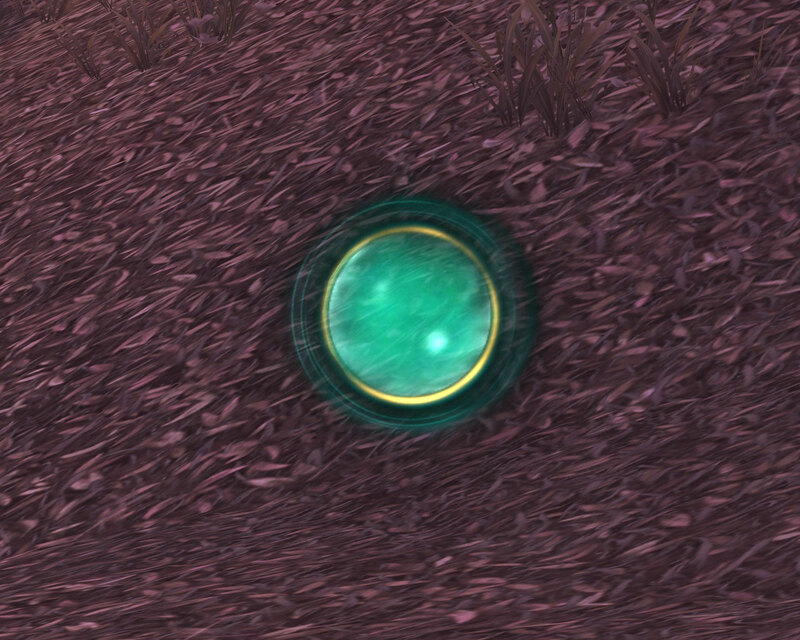 In case anyone else is struggling as a Mistweaver, the secret of my success (once I’d got a reasonable amount of spirit) was these happy little curvy balls. Wonderful for pre-positioning under the Hunter and Mage as well as brilliant for clearing “chomp”. Also Xuen is well worth it, not only for helping to clear annoying packs faster but for teaming up with your serpent statue to help with the healing. Leg sweep in my experience is also better than the ring of peace and chi brew used every time it was available got my mana under control to the point that I ended on 70 percent mana. Also don’t forget that we can disarm and kick so something which shows enemy name plates and their buffs, debuffs and cast bars really helps. In the end my first proper reforged go with spirit was the slightly stressful zombies lurking behind trees and werewolves in the bushes walk in the park I’d first envisioned. I’d also recommend adding “Chomp” as a custom debuff to whatever raid frame addon you’re using. If that happens to be Vud’ho, go to debuffs -> custom and then type “chomp” into the window and set it up accordingly. Personally I had it changing the whole bar to a disgusting shade of brown which had my subconscious itching to remove it before the rest of my recognized what was going on. What I love about the whole concept is that there is always going to be room for improvement, always another wave to survive and that it allows experimentation with spec, with spells and indeed with alts in a private space where the only ego which can get bruised is yours. What do you think of persistent changes to Azeroth? Now I have to admit I am in favour of the world constantly evolving and changing. Events like a giant bad tempered Dragon flying up from inside the earth should leave scars on the landscape as should tidal waves and conflict. You can’t have say deforestation taking place on a massive scale yet the number of trees in a particular zone staying the same, it doesn’t happen in the real world and wouldn’t happen on Azeroth either. As a story line progresses, the world in which it takes place needs to change along side it. 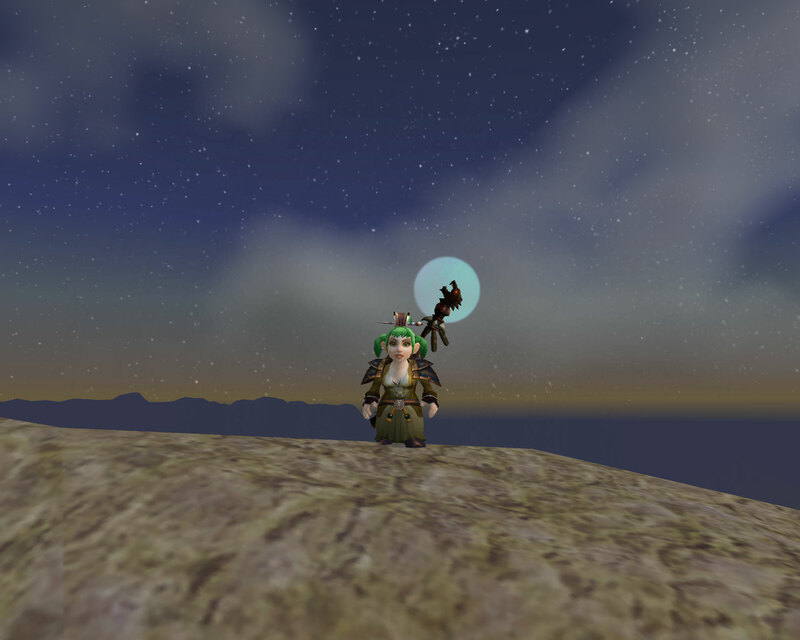 I think phasing ( as annoying as it is from a world pvp perspective) works wonders for this, letting us see the result of our actions as we explore the environment around us. 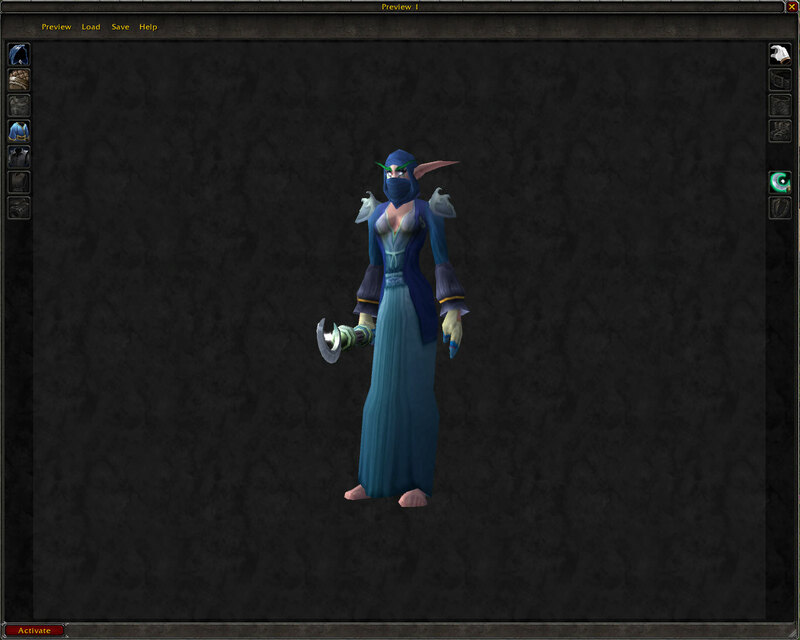 That said, I do wish Blizzard would stop taking a remodeling tool to my favourite zones. However what I’d love to see is more use being made of the Caverns of Time. 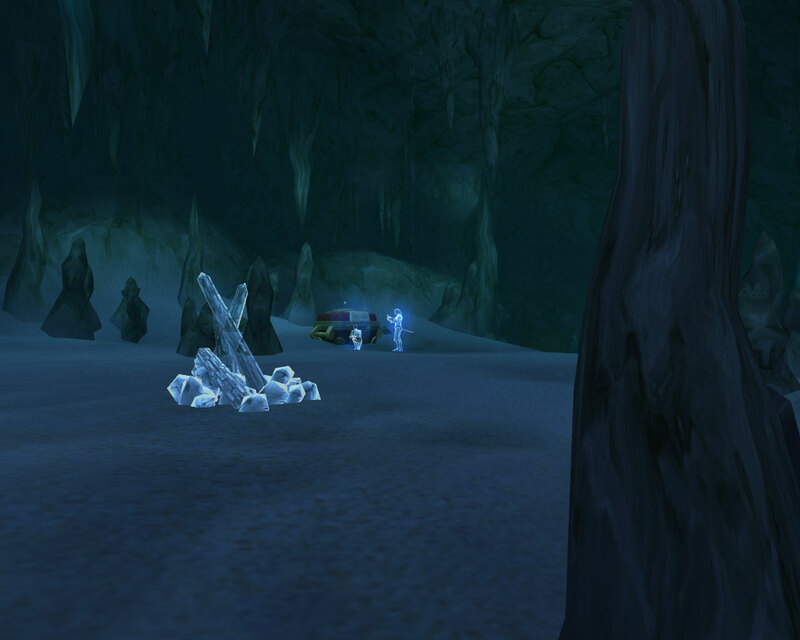 What if we could enter a zone in the Caverns of Time and be whisked away to a point in Azeroth’s past. You couldn’t necessarily go anywhere at once but that could easily be explained away by mist on the timeways or some such random deus ex machina. 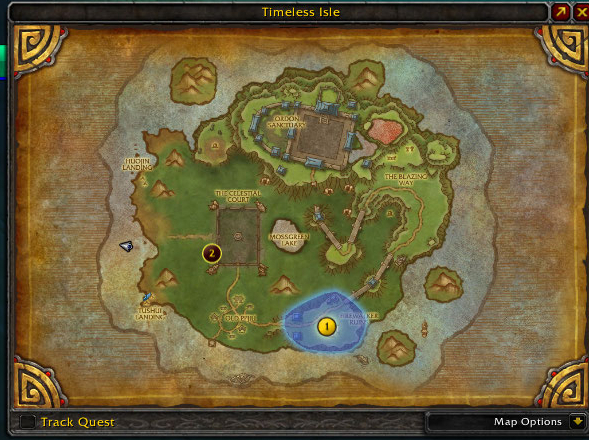 Maybe the destinations would change weekly or maybe it would be influenced by the patch but the idea would be that one week/patch cycle you could picnic in old Auberdine and the following week/patch you could revisit Desolace back when it was desolate. This would also allow Blizzard to add old content without actually adding old content. 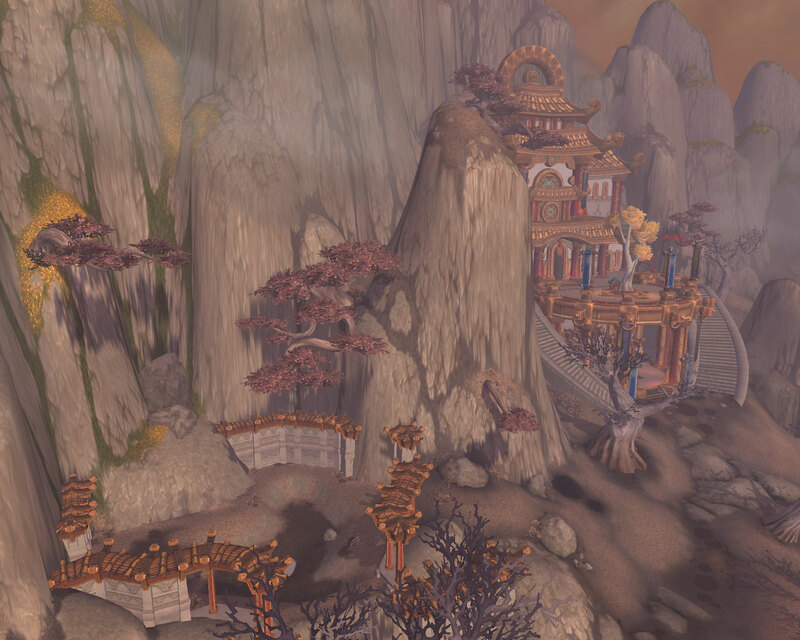 A bit like the Timeless Isle, I wouldn’t make it obvious with big question marks everywhere but merely allow those who are interested to meander around finding things if they want to. You could put the old class quests back even if the rewards are purely cosmetic but personally I’d love to see Eris Havenfire yelling across the Plaguelands again. It would also allow people who are relatively new to the game to see the bits and pieces which everyone still talks about. 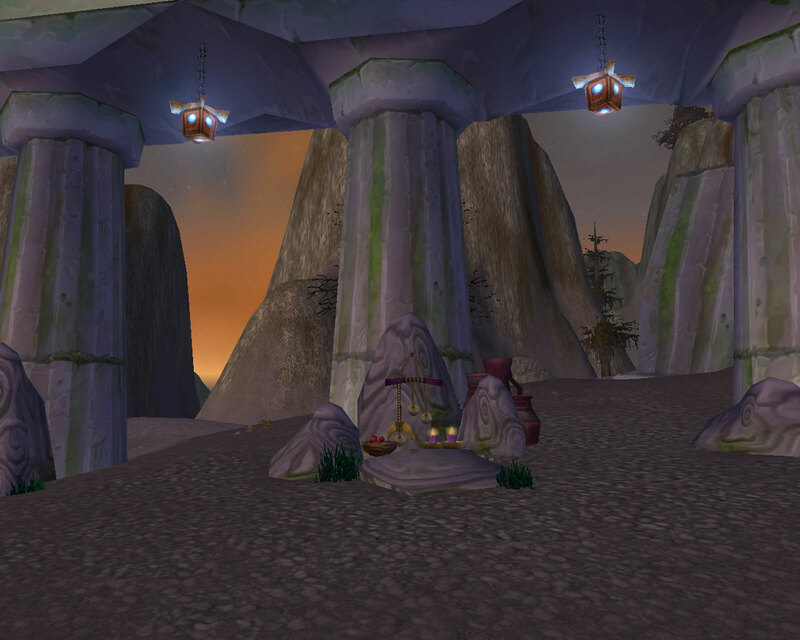 Major events like the Scourge invasions and the recent Barrens conflict could also turn up so that people who still want things from them could have a chance to revisit on alts. In fact which areas are due to swing by the Caverns could appear in the calendar a bit like the call to arms battleground so that you would know that next week, you could pay a visit to old Westfall or in three weeks time your chance to farm a bit of lumber for an old war effort. Loch Modan would still have a loch in it and Auberdine a proper pier but yet it wouldn’t detract from the current game. 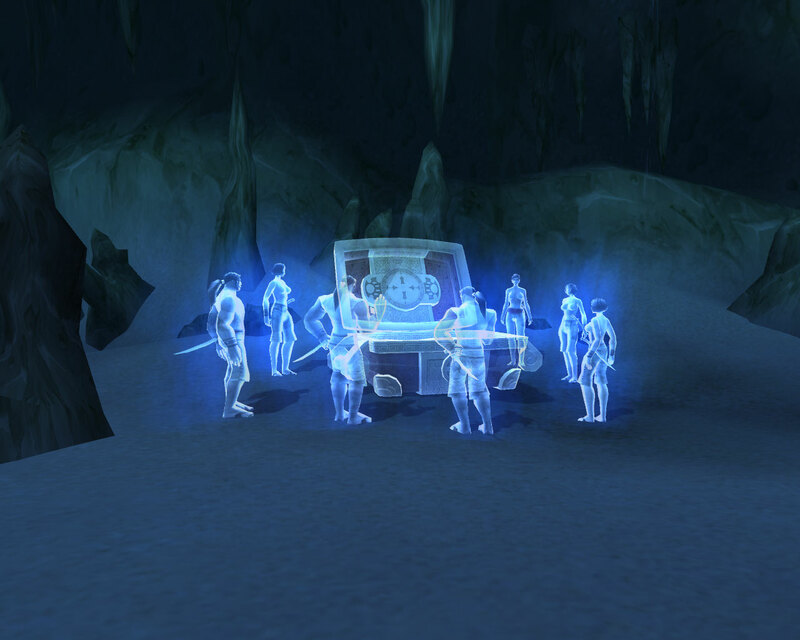 We’d be able to pay our respects to NPCs long since dead and dance around Lady Prestor teasing her with future. Azshara could be Goblin free once again even it was just for a limited period and we could just wander and explore to our heart’s content. Blizzard have recently started adding more and more vanity items and these portals into the past would be the perfect place to continue this trend as well allowing them to advance current story lines by trips into the shadows if they so chose. 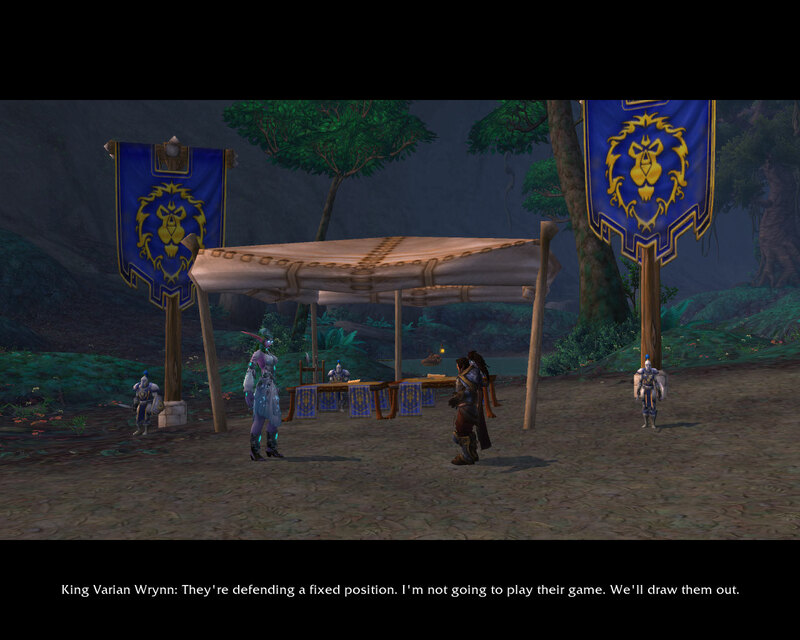 It’s always been the detail of WoW which has acted as it’s biggest draw to me. The little twists and turns hidden in plain sight, the things which make you smile over again and again. Finding a cave entrance lurking below the water’s edge is exciting enough. Discovering ghost pirates hiding within even better. Slaughtering said spectral sea dogs and then stealing their treasure adds the extra icing on the cake (which you can do once a week). 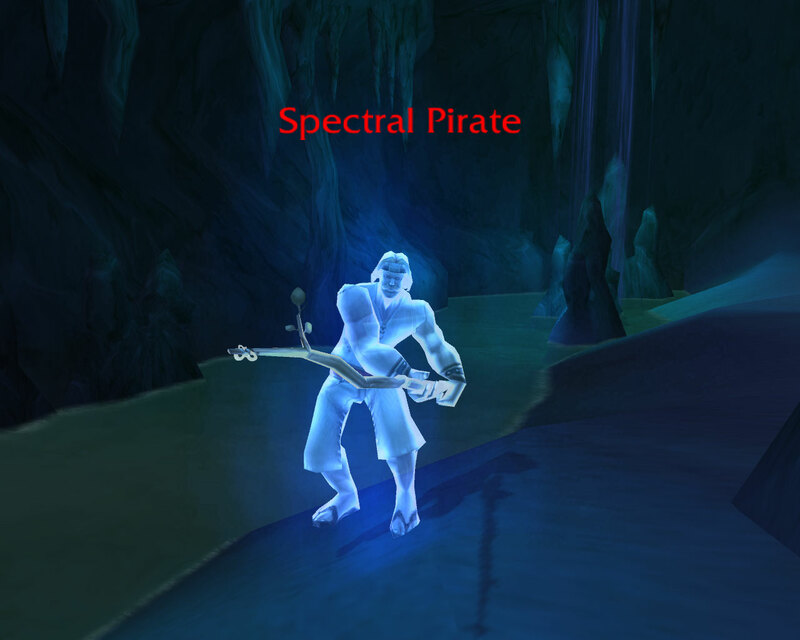 They can also drop spectral grog which makes you dead like them. However when you return the following day expecting an empty cave or just plain and simple hostile pirates, it’s lovely touch to find them neutral and hanging out inspecting their booty. 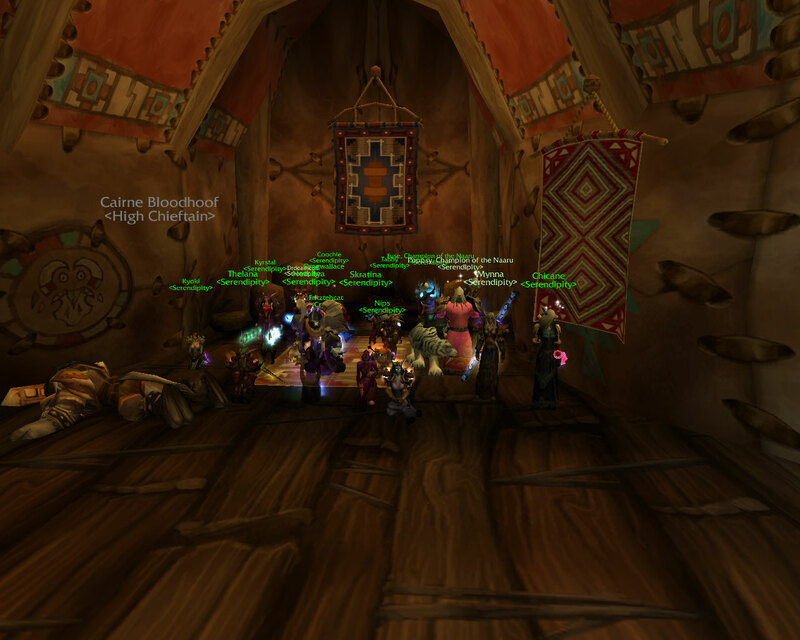 So I’ve delved back into the vast collection of screenshots I have gathering dust on my computer and found a vintage shot, proving that Garrosh was actually innocent of Cairne’s death and it was all an Alliance plot to throw the Horde into disarray! Batinna is hosting a Dress up blogging challenge and of course I couldn’t resist joining in because any time spent playing with transmogrification isn’t being wasted doing something sensible. The prompt for week 1 (which technically was last week) is Poor. Now I know using MogIt is cheating but unfortunately I could only find the robe I wanted to use in brown so for this week only I’m taking the easy route. Meet a Night Elf Priest who has given up all her worldly goods in Elune’s name, going from settlement to settlement spreading the word. Wand – Crescent Wand because what else would a Nightelf Priest use? I thought I’d also post a quick version based around the brown version. This is Sprout wearing a mix of clothing she happened to have in the bank.